Magnificent evening at Kronenbourg’s Brasserie MystÃ¨re at the Roundhouse. And who could the surprise celebrity guest chef be? None other than the legendary David Hawksworth… Huge congrats to David, Chad Clark and the team. 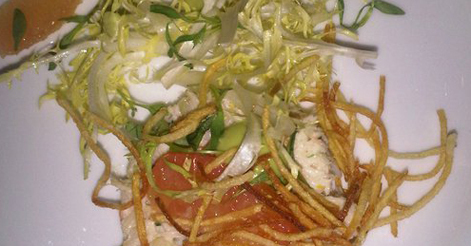 We enjoyed a delicious starter of Dungeness crab salad, grapefruit, avocado and ginger.